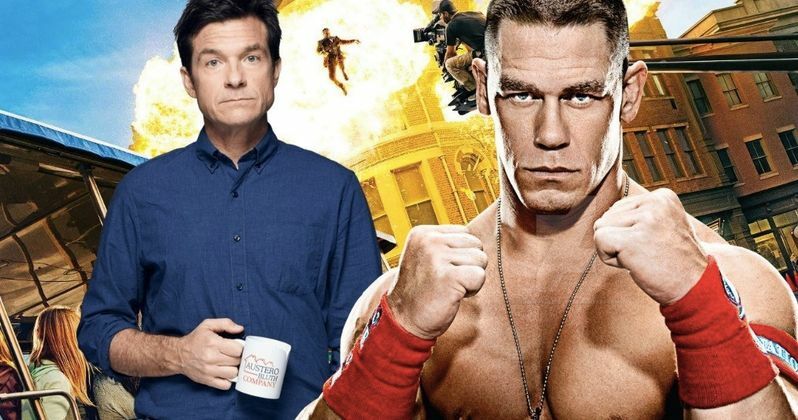 Netflix has announced that Jason Bateman will direct a new action comedy with John Cena as the star. It has also been revealed that Bateman might appear on the other side of the camera for the project too. The untitled comedy reunites the director with Game Night screenwriter Mark Perez. The 2018 comedy Game Night was a sleeper hit and Netflix is looking to replicate that success on their streaming platform. This Untitled Action Comedy isn't the first time that Bateman has teamed up with Netflix. In addition to starring in Arrested Development, he produces, stars in, and has directed episodes of Ozark, which is critically acclaimed. Jason Bateman's untitled action comedy will center on a family that gets stuck in an old abandoned movie studio. The sets come to life and the family members find themselves stuck in various movies. The tone and vibe is described as being close to Game Night, so it will be interesting to see how the new project pans out with John Cena on board as the star. In addition to directing, Bateman is producing the movie for Netflix with Michael Costigan, his partner at Aggregate Films, and Joe Roth and Jeff Kirschenbaum. John Cena can be currently seen in Bumblebee, which is still in theaters. The movie isn't the biggest box office success for the Transformers franchise, but it has been earning in a steady fashion and has brought in $420.9 million globally. Cena will also be seen in the action movie Project X-Traction along with Jackie Chan. The action thrillert is currently in the post-production phase and will be out some time this year. It has not yet been announced when filming will begin for the untitled Netflix action comedy. Jason Bateman made his directorial debut with 2013's Bad Words and recently starred in Season 2 of Ozark. Mark Perez is currently writing for the Carmen Sandiego movie, which is also on Netflix. The streaming platform has been doing really well with its original content lately, with Bird Box becoming a crazy sensation. It helps that the movie has been streamed by over 80 million households since its debut at the end of last year. So far, the horror movie is the most successful original content project that Netflix has put out thus far. These numbers become more impressive when it is revealed that the streaming platform only counts them if they get past the 70% mark. Jason Bateman's untitled action comedy does not have a release date at this time, but we should get some production news shortly. It already sounds like a recipe for success with the reunited Game Night crew and John Cena's comedic ability, which was shown in 2018's Blockers. 2018 has proven to be a breakout year for the WWE Superstar and it looks like he's going to get a lot more acting roles here in the near future. This is a developing story and more news is expected to drop soon. The Hollywood Reporter was the first to announce the Jason Bateman and John Cena news.